Tournament of Power Release Day! The second book in my Curse of the Pirate series is available now! And it's just 99 cents for THREE DAYS so be sure to grab your copy!! They want his heart. He wants their power. When Bae Kelsey invites princesses across the ocean to compete in a tournament for his hand in marriage, Caliana Brahmvir volunteers herself as a contender. 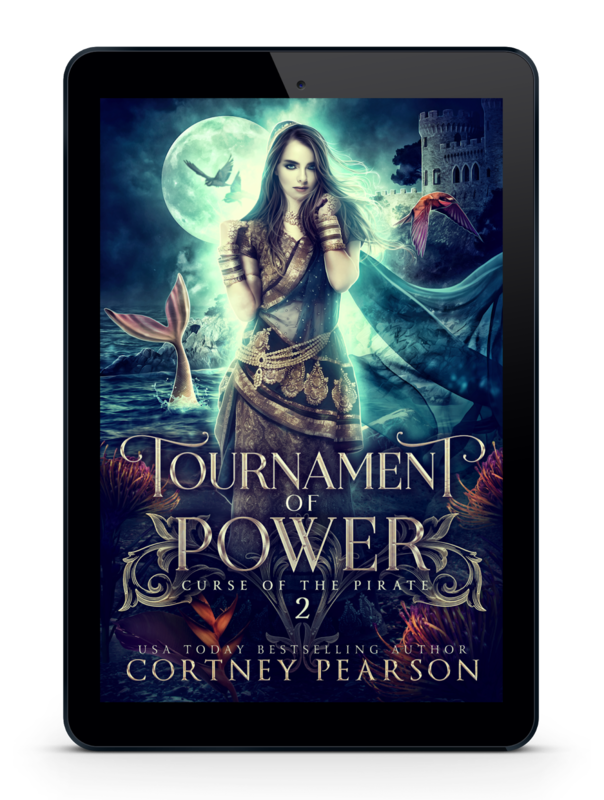 She hopes to win, not for herself, but for her cousin, Soraya, to regain the kingdom that was taken from her. But Cali quickly realizes this is no tournament for a joyful marriage union. Bae is only after one thing: a princess with enough power to destroy the boundary keeping him from sailing to Zara. And he doesn’t care who gets in his way. Cali will have to face dauntless, calloused princesses with ruthless power and complete insuperable tasks that test the very strands of what the girls are made of. If she can’t survive the tournament to win, losing will mean her death. But now that she’s in it, she’s lost her chance to turn away from the risk. 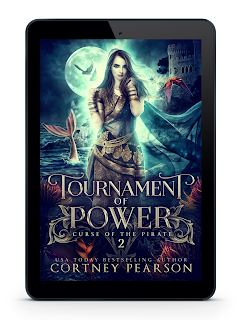 Win or die, those are Cali’s only options in Tournament of Power, the second installment of the Curse of the Pirate series by USA Today bestselling author Cortney Pearson that fans of Daughter of the Pirate King are calling "a powerful fantasy" and "a story that will leave you wanting more."